In Herefordshire, their are an unbelievable amount of self-catering facilities, cottages, bed and breakfasts, hotels, famhouses, caravans and Inns. Herefordshire is set in a breath-taking foundation which is therefore very popular with walkers, however not just walkers love it here. The Flanesford Property – Award winning for being unique, feature ten different accommodations – ranging from the perfect romantic getaway that sleeps two, or the ideal group getaway that sleeps six. All of the rooms have a really warm feeling mainly due to the wooden tables, doors and the general “cottage” interior. Bedroom furniture, Bathrooms, Kitchens and Appliances are all modern and are kept in a very high condition with each room being extremely spacious. So if you are taking a group, you can be rest assured that you won’t feel as if you are all on top of each other. You’ll find yourself nestled under the famous Goodrich Castle, and whichever way you like to let off steam from your daily life whether it’s doing some photography, hiking, a peaceful retreat or a getaway to catch up with old friends, it can surely be covered here. You’re not completely isolated in the hills and countryside here, your accommodation is within a few minutes walking distance for recreational activities. If you’ve drove by car, you’re only an hours drive away from the famous Cathedral of Herefordshire followed with Worcester and Gloucester. However you have arrived at your destination, you can easily spend a full day out in the surroundings. This could be a stroll down Forest of Dean which is within walking distance or a spot of shopping at the makret town in Ross-on-Wye. These accommodations are becoming more and more popular because sometimes people just want to get away from the noise of the city and do things their way, as in not rushing to grab breakfast which is what you usually face in B&B’s and Hotels. Similar to the Flanesford Property and pretty much all of the properties within Herefordshire, Hidelow House are reknown for “the perfect retreat”. Award winning self-catering cottages, Hidelow provide up to 8 different accommodations all which are luxury yet have been designed within purpose to fit your needs and requirements. First up you have the Hop Pocket known as the “Upside Down Honeymoon cottage” which features a double spa bath which sleeps the two of the newly wed. Second you have the Hopbine which is your perfect romantic getaway choice within Hidelow as they provide you with your own exclusive circular hot tub. Katherines Cottage sleeps two and Hidelow Lodge sleep 5/6 yet both are fully wheelchair accessible as their both on the ground floor. Looking for a larger accommodation? The Cider House sleeps ten people, again provided with your very own exclusive hot tub which is perfect for large groups. The Farmhouse tops them all on sleeping arrangemens though as it sleeps up to twelve people. The property is suitable for up to 4 wheelchair users and you don’t just get one hot tub, you get two! In 1960 a large barn-type house was converted into a four star luxury family home just off the Welsh Border. Great thought and consideration has gone into this remarkable transformation due to the features that are applied for each and every one their visitors. If you do find yourself to be staying there and you catch a very lucky day with the weather, be sure to hit the footpaths and take a stroll down the Forest of Dean which is within walking distance from Upperfields Farm. If you don’t fancy a walk into the countryside, you are only walking minutes away from the local pub which is accessible via footpaths. If it’s family holiday and you find that the kids don’t want to stretch down the footpaths or take lesiurely walks with you anymore, they’ll be happy to use the Free Wifi and be sure to be in the pool the most. Whether you are having your stay here in the warmer months or the colder months, where would be a smarter place to put a swimming pool so that the rain couldn’t dampen your day? Indoors of course. If you are here for the colder months, make good use of the Ingleook with the cosy wood burner. Like most of the luxury self-accomodated properties listed already, Hicks Farm can offer their facilties to a range of different charatertisitcs. They offer two accommodations which are the Orchard House and the Rose Cottage, a smaller option of sleeping choice’s but not smaller in property size by far. The Orchard House was an original barn however it’s been converted so that it can provide sleeping arrangements up to 14 people with 5 bedrooms and 3 cots. You are guaranteed a hassle-free, peaceful and relaxing vacation in either of the properties as you are completely surrounded with tranquility and nature. If the sincere quiteness does drive you a little crazy, you can be sure to make excellent use of the accessible foot paths into the countryside, to recreational activites or even hop in your car and go for a drive. The Orchard House is popular amongst families due to the large garden, secure cot facilities, a barbecue and comfortable garden furniture. All perfect for a lovely day making it ideal for outdoor games where the whole family can be involved. Taking you back to the very early eighteenth century, this cottage was a small dwelling before it was expanded and transformed twice between the 18th-mid twentieth century. This was within great purpose so that a detached, three bedded property could be available for the public. The Orchard House still has remaining open beams in every single room, whereas even though more changes have taken place in the Rose Cottage, you can still make bread in the original feature that has been maintained an incredible amount of time which is in impecible condition. Providing a perfect getaway for families, you can set back in the sun with a glass of wine and a book and snooze off without panic as you will find a well secured garden fence for the kids. This has also made it perfect for a spot of football and even cricket, you are spoilt for land at the Rose Cottage. Both houses provide bookshelves if you do find that you have forgotten yours or it has misplaced itself on your way down here. Please take note – if you do plan to bring teenagers who think that this will be a holiday for them with their phones, they couldn’t be more wrong. A payphone is provided within the reception as the mobile phone reception is poor due to the local area. This could start in tears but could truly be a perfect family getaway providing a real break from the outside world whether you decide to pick a leaflet up and plan your days out, or you just want a relaxing getaway with your family, friends or partner. Looking for a bigger accommodation in Herefordshire that sleeps more than 20? You may have met your match. Dunfield House offer one accommodation which sleeps up to 22 people therefore making it perfect for big family gatherings, friends being reunited or even catching up and celebrations. These are renovated stables and Dunfield House provide a lot of facilities and a helping hand before you arrive and within your stay. Self-accommodation is popular amongst people who want a hassle-free holiday, like to eat at their own times and genuinely want their own space (including no running for the sun loungers at 6am)! Food at The Stables: Guests are provided with a fully equipped kitchen and a barbeque outside for the warmer days. If you have run out of something or maybe you need a delivery to the house, major supermarkets are accessible to the property so you wouldn’t even need to leave your house if you needed some shopping. Don’t fancy cooking one night? Takeaways, pub lunches and 4 & 5 star restaunrants are only two miles away from the stables. The staff here at Dunfield House are more than happy to help if you do need something as soon as possible and you’re unable to make the the journey to the shops. With prior notice, the catering staff can offer a fully or part catered service including: personalised menus, dietry requirements, birthday cakes, party food and special themed meals, leaving you with less to worry about so you can relax and enjoy your vacation. In and around The Stables: You’re not short of space for relaxing or for the kids playing outside with 15 acres of ground which surrounds the property. The Stables is a fully wheel chair accessible property and extra equipment can be provided (with prior notice before you book). If you are staying throughout the warmer months, you don’t have to worry about restless nights and stuffy rooms. The temperature in The Stables is completely accessible to all guests so you can control the temperature to which setting is best. Throughout the colder months you can make use of the indoor heated pool, hot showers and a cosy woodburner which is the perect end to a day for marshmellows and hot chocolate. Out and about: You are within a two mile walking/driving distance to the nearest shops, takeaways and restaraunts. 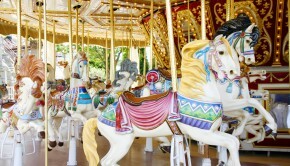 Accessible footpaths are nearby for the whole family to enjoy the stunning views that surround these stables. happy wheels demo If you fancy getting out of your nearby surroundings and travelling a bit further multiple villages, adventure centres and amazing landmarks such as Cathedral City are not far from your stay here. The Stables has enough going on for eveyrbody with a Adventure Playground for the children and comfortable garden furniture for the adults if you feel like giving your feet a rest. Canon Bridge House is a VB 4 Star Self Catering property with a Green Tourism Awaiting Award. A grade II listed Georgian house on the banks of the River Wye, surrounded by wonderful unspoilt Herefordshire countryside. The Garden Wing is completely self contained with very spacious, light and airy accommodation. Less than 100 yds from the house they own the fishing on the River Wye, this is available to all visitors subject to canon bridge house holding a current licence. The River Wye is a truly stunning remark that is worth the view if you are near by, this is the perfect location to do this. If fishing on River Wye is not your thing, you will not be stuck for choice. Herefordshire has something for the whole family: Country Parks & Gardens, Leisure & Creative Courses, Museums & Heritage, On the water/ground activities, Retail Therapy, Walks, Tours & Trails, Historic Houses, Arts, Weddings, Churches, Crafts and Theatre. Wonderfully comfortable single-storey cottage set in an Area of Outstanding Natural Beauty. Spacious well-furnished accommodation with french windows leading to sun deck overlooking the most spectacular views as well as garden and access to private woodland walks. Twin-bedded and double bedrooms, fitted kitchen, bathroom and cloakroom. Ample car parking with easy access to cottage via gently sloping ramp. Central heating makes this a perfect location for winter and summer breaks. Well behaved, quiet dogs welcome. Peaceful rural location away from main roads. A strict policy on no smoking in this property. Originally converted from a small barn, Longwood Cottage enjoys a delightful country setting with spectacular views in all directions. This light and airy room opens out on to the sun deck and has magnificent views over the surrounding countryside. There is a dining area with an oak table and four chairs, matching cabinet and bureau packed with local tourist information. The sunny kitchen has recently been refitted and has a gas cooker, fridge with small freezer compartment, and microwave. There are two bedrooms, one with twin beds and the other with a double. Both bedrooms have plenty of storage space as well as windows facing front and back. There is a cloakroom with a toilet and wash hand basic, as well as a state of art bathroom with an electric shower set above the bath. This is truly a loo with a view! The cottage has a very efficient central heating system, which is charged at cost if used. Changeover day is on a Saturday and the cottage is available from March until December including Christmas and New Year. The Corn Mill is an award winning self catering holiday cottage set on one of the last remaining hop farms in the country. The former grain store has been carefully converted into a luxury holiday cottage. It is approached by a private drive and woodland that leads up to a terrace, parking area and newly converted garden room. Situated in one of England’s most rural counties, it is surrounded by 200 acres of perfectly aligned hop yards and apple orchards. The pattern only broken by old meadows and ponds. There are lovely walks around the farm and The Corn Mill is perfectly placed for discovering the ancient market town of Ledbury which sits between two Areas of Outstanding Natural Beauty – the Malvern Hills to the east and the Wye Valley to the west. The holiday cottage accommodation is also ideally situated for exploring Herefordshire, Worcestershire, Gloucestershire, the Cotswolds and Shakespeare country. Ledbury is a lively market town with a mix of independant shops and old inns and boasts three excellent butchers, a greengrocer, baker and deli. There is also a crop of stylish interiors shops, boutiques and galleries as well as several top-end gift shops. This award winning 17th century Country House set in delightful cottage gardens and fourteen acres of private nature reserve, nestling in a tiny tranquil valley, provides three self-contained suites each with its own private sitting room, all offering free wi-fi. Water colours, original prints, plants, books and ornaments create an atmosphere of quality and comfort. Renowned cuisine using locally produced organic ingredients and produce from our own kitchen garden complete the hallmarks of peace, privacy and fine food of this charming country retreat. An opportunity to sample rural england at its very best. Good Housekeeping – top twenty British Bed and Breakfasts. Les Routieres best Bed and Breakfasts – Central England. Hertfordshire Nature Trust Gold Award and Green Business Award. Water and beautiful green and verdant land go hand in hand. Hertfordshire is no exception to this rule. From the rivers Lugg, Arrow and Leadon through to the ‘nations favourite’, the River Wye, water plays an important part in Hertfordshire’s life. Fly, river and coarse fishing, cruising, rowing and paddling, walking, camping and relaxing, regattas, the Waterworks Museum or people watching – the rivers provide the perfect places for these simple pleasures! The Saracens Head Inn is a seventeenth century riverside inn with ten en-suite rooms, most overlooking the River Wye and all non-smoking. They offer amazing value for bed and breakfast accommodation. Since you are facing the riverside, make sure to enjoy their waterside terraces, bar, lounge and restaurant areas with real ale & fine Herefordshire home cooked food. 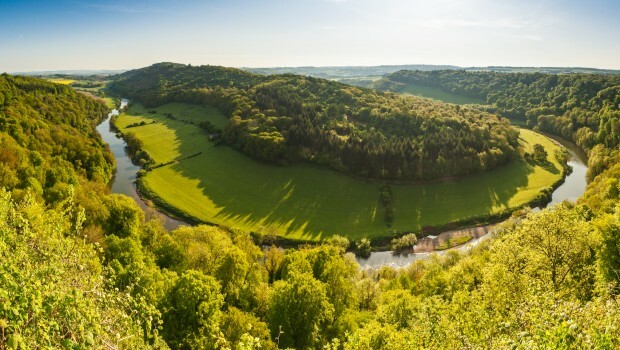 Popular among walkers, photographers and sight-seeing as you have the stunning Wye Valley flowing just minutes from you followed with the Forest of Dean walks, Brecon Beacons and The Black Mountains. You are situated between Ross on Wye and Monmouth therefore also making it a very enjoyable and ideal place to stay for cyclists, fishermen, On the water activities and fans of real British Ale and good pub food. The Saracens can’t provide for children under the age of 7 and any pets so please bare that in mind. This is the perfect stay for couples, friends and families with older children/teenagers. Wonderful views, Real Ale, Fine Dining Food, On the water Activities and unique tea and cafe shops are not far from your stay here at the Saracens Head Inn. Whilst enjoing your stay here, enjoy a scenic river trip with Kingfisher Cruises operating from Symonds Yat East in the beautiful Wye Valley – world famous for its natural river scenery. Symonds Yat is famous as part of the historic Wye Tour, enjoyed by romantics of the 18th century. Brinsop Court Estate is one of the most luxurious self catering accommodations in Herefordshire. They offer the Ivy Cottage which is the upmost unique, romantice getaway for the two with genuinte cottage features and then they offer Manor House, which is ideal for business away-days, corporate events and weddings. The Manor House has sleeping arrangements of up to 28 people with wonderful rooms for parties and celebrations. Set in 800 acres of estate and woodland, this moated medieval manor house is all yours to enjoy. You are in a completely private and tranquil space, away from noisy streets, loud neighbors, cars and motorways. Whatever the season, Brinsop Court can provide you with the perfect set up for your wedding. Weddings in the past have had their first dance in the Games Room, enjoyed five star catering in the banqueting hall, wedding ceremony in the Elizabeth Libary and guests have gathered on the Wordsworth lawn to soak up the sun and enjoy the free champagne. Whether you choose to have your special day here at Manor House or choose to have your corporate event here, you will recieve the real wow factor from the moment you set foot on the grounds. Sterrett’s Caravan and Camping Park, has been carefully developed over many years and is set in the beautiful Wye Valley at Symonds Yat West, Herefordshire. Holiday-let caravans are fully equipped and serviced to a high standard with a kitchen, TV and DVD player. Touring Caravans and camping are provided for in a separate area to the holiday-let caravans. The Park is just one hour’s drive from Birmingham, Bristol and Cardiff therefore making it the ideal situation for touring the many places of interst that are nearby. You are within walking distance from the beautiful landmarks that make Herefordshire the ideal place to visit for outdoor walks, on the water and on the land activities, Cathedrals, hotels, Museums and popular cities. The beautiful Forest of Dean which surrounds Sterret’s is within fifteen minutes by car. If you fancy going by foot or out for the whole day you can spend hours trailling through the accessible forest paths and cycle routes where you can be sure to find the most perfect picnic spot if you are fortunate with the weather! Also within reach of the campsite is the famous Goodrich and Chepstow castles, Tintern Abbey and the worlds most famous Symonds Yat Rock. If you are bringing your camera with you on your stay – Symonds Yat Rock creates the most perfect pictures with its seven counties view and the supervised RSPB viewpoint of the Peregrine Falcons. Situaed in the North West of Herefordshire, is a Black and White village. Townsend are an award winning unique fiver star park which is: a comfortably spacious 62 pitch touring park, luxury heated facilities block including a disabled room, family room and laundry for all guests and is fully serviced across all pitches ensuring each visitor has running electricity, TV, water, waste water, and hard standings. A fishing lake is provided which is kept in an impecible standard followed with red and blue mountain bike trails throughout the woodlands. Townsend offers the ideal location for the outdoor people including breath-taking walks, on land activities, on water activties and sight-seeing. Don’t fancy doing absolutely nothing? Don’t blame you! If you’ve got a good day with the weather, bring the portable BBQ and check out the local Farm Shop and Bakery.You can’t beat British sausages on freshly made bread can you? !